It’s not a Mustang, but this 188 horsepower hybrid vehicle can handle the streets of L.A. Engulfed in Toyota Prius (cabs, cars), the Ford C-MAX is a mid-size car that does a better job as a hybrid. 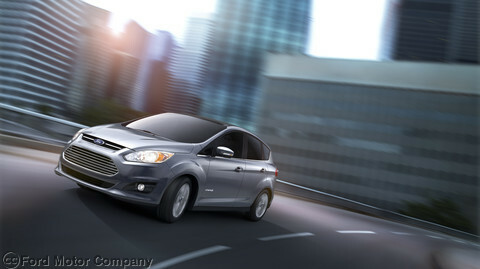 Over 500 patents are issued to the Ford C-MAX in energi, hybrid and other areas. The car will also be the most affordable at $25,995 – $1,300 less than the Toyota Prius and it still gets better gas milage: EPA certified at 47 mpg. The 104.3 inch wheelbase gives you a stable, yet comfortable car. Front suspension uses independant short-and long-arm (SLA) stabilizer bar. The rear suspension is an independent multilink twist blade with stabilizer bar. 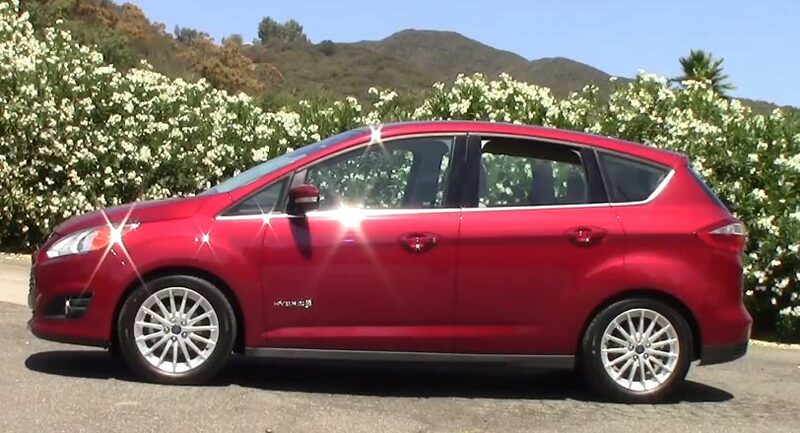 Ford C-MAX is a five-door vehicle with driver/passenger blind spot mirrors, rear spoiler, satin crhrome center grille, and 17 inch machine aluminum wheels. It’s called a multi-activity vehicle. While it won’t off-road that well, it will deliver performance with it’s 2.0 liter engine. The C-MAX gives a total system horsepower of 188. with a torque of 129 @ 4,000 rpm. This vehicle will sit five comfortably. It’s front row is 41 inches, while the back is 39.4. The seats are made of soy – which also saves gas through the production process of the seats. The internal 6-speaker system and SYNC system inside will give you not only a great hands-free experience for your mobile device, but also a great sound system to listen to your favorite music while on the road. For a little extra, you can get the premium auto package, power liftgate, rear view camera, keyless entery and more. 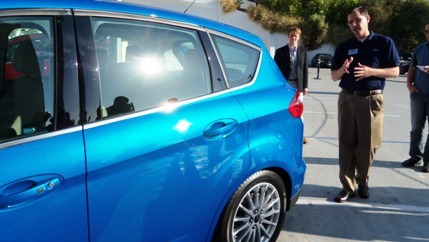 Fully equipped, the Ford C-MAX will cost $31,085. We drove the car to the shore, up to Malibu and back to West Hollywood. I was impressed with the pickup (we could get from 0 to 60 reasonably fast), and the suspension, as I abused it turning on a couple roads in the California coast. The ride was comfortable overall – which is an issue I have with the Prius. The driver seat is adjustable in many ways including lumbar support. The wheel is telescoping so you can get it to where you like it. A fun ride on the streets of California. For additional information, check the video I did here at Geekazine!